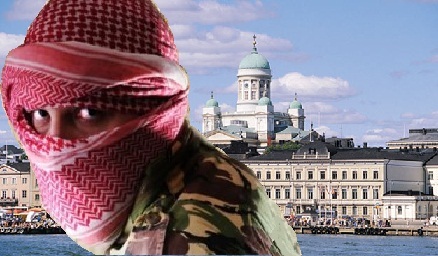 Finnish Islamization creep: Islamic congregations in Helsinki increases 12-fold in past two decades, more than 100 000 Muslims now in Finland……. – The Tundra Tabloids……. In Helsinki, the number of people belonging to Islamic congregations has grown in an explosive manner in almost twenty years. In terms of quantity, the highest growth rate has occurred in the number of non-believers. When in 2000 only 500 people were in the Islamic congregation in Helsinki, last year it was over 6,000. The number of non-believers in the city has increased the most in terms of number of religious communities. According to the Helsinki Statistical Yearbook , there were just under 134,000 in 2000, but last year it was over 271,000. The Evangelical Lutheran Church in Helsinki has formed an overwhelming majority over the entire period of statistics. In 2000, some 400,000 people belonged to the Church in Helsinki, which has fallen by nearly 60,000 people in just over a decade. At the same time, the population of Helsinki has grown by almost 100,000 people. Previous Post Previous Post FPM: AS Dem Turn to Jew-Hatred, Trump Host IDF Vet, Holocaust Survivor Who Survived Tree Of Life Massacre……..
Next Post Next Post Dr.Manfred Gerstenfeld: Can Indonesia Help Moderate Islam in Europe……?